An original is an original is an original. So far, so easy. Is it though? Often it is not so easy to distinguish an original from plagiarism, while one may also question the importance of a design furniture original. Let us explain why it is worthwhile, in doubt, to take a closer look and to consciously decide for the Vitra original. 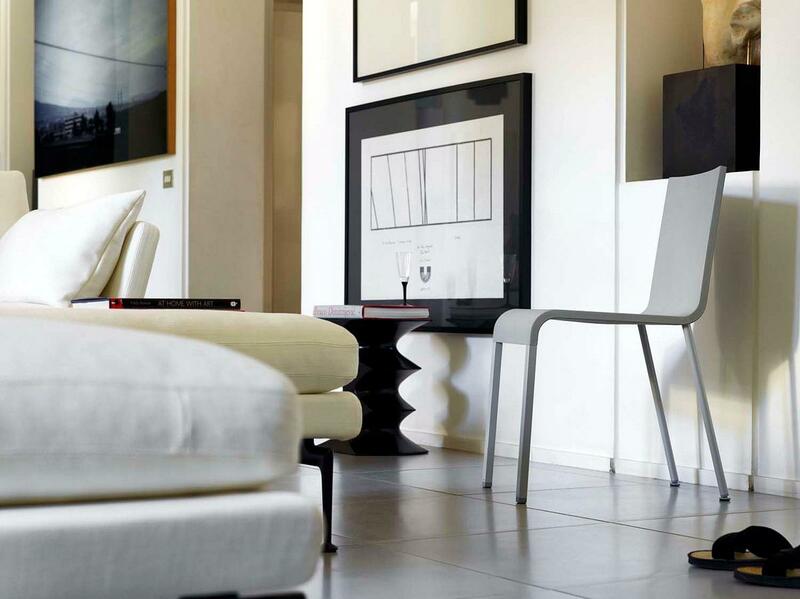 Not least because Vitra works very closely with their designers and thereby realise products whose value stability ultimately also benefits buyers. 1. The manufacturer needs the right to manufacture, which they receive either from the designer himself or from one of his descendants or the administrators of his artistic heritage. Anyone who uses a design without this legal basis, that is, without a production license, thus makes illicit use of third-party property. 2. It always requires cooperation in the production of originals. This can be either between the manufacturer and the designer of a product, or between the manufacturer and an heir of the designer. Only in this way can it be guaranteed that a product is always produced in the sense of the designer and corresponds to their ideas. A misunderstanding that often exists concerning industrial designs is that an original is only an original if it is from the time of its original creation. This is not correct, not least because an industrially manufactured product is not a single piece per se and always arises in mass production. Thus, the time of production has nothing to do with whether it is an original. Only the manufacturing conditions and the contractual basis are decisive for the question of the original. It is also wrong that an original must never be altered. An industrial design product is always the solution for a specific problem at a specific time. So if a product can be made with newer, more meaningful technologies or materials that did not exist at the time of its creation, so as to create timely, sustainable solutions to a problem, then the modification can only be in the creator's sense. Thus exist products which have a raison d'être beyond the purpose of a pure collector or museum piece. Revised designs are designed to meet the spirit of the new times, while still conforming to the original ideas and visions of the designer. Thus, the idea of ​​an original furniture design combines a legal and an ideal component, and only the combination of both makes an original into an original. The interaction of these two components ensures that the manufacturer is legally legitimised by the designer when producing a product, and that the design still meets the ideas of the designer or author today and is therefore still authentic. 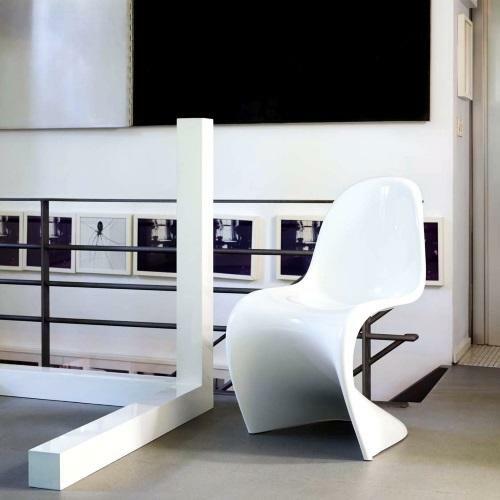 For the Swiss manufacturer Vitra, the power of good design and thus respect for the author and the original is the most important criterion in the production of originals. This means that the collaboration between Vitra and the designers or their families is close and there is a regular exchange. Thus, the cultural heritage as well as copyright protection on the one hand and the high-quality production on the other hand are guaranteed. In this way, furniture is created that is characterized by longevity and timelessness. At the same time, innovation is invested in what makes modern industrial design possible in the first place and ensures the high quality standards of the furniture. A classic is not without reason a classic. Rather it is characterized by the fact that it was at the time of its creation groundbreaking in appearance and production and has significantly shaped the history of design. This unique character makes design furniture a copyrighted product whose cultural heritage is worth protecting. Thus, Vitra always strives to preserve the idea of an original in collaboration with designers or their descendants and to preserve its value today and for future generations. 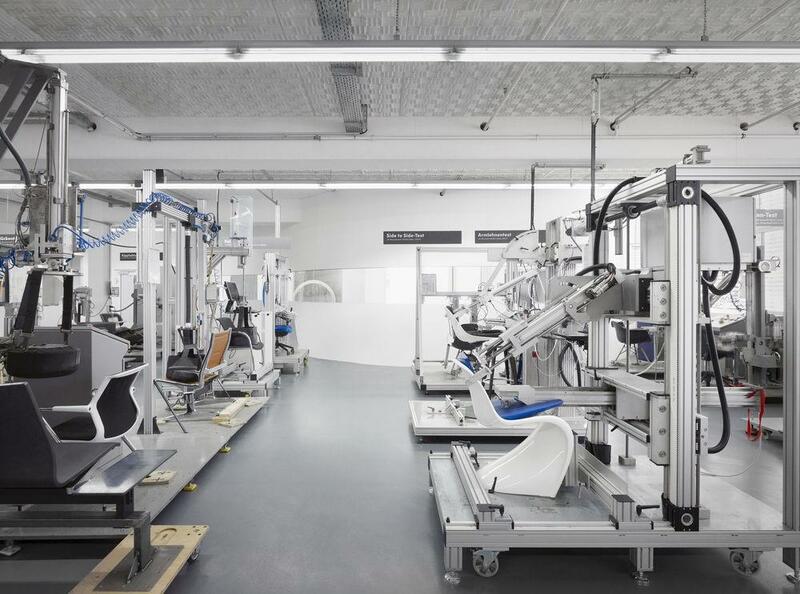 Vitra spares no expense and effort to always ensure they use the most innovative processes in the production of its furniture. Thus, it is possible to re-explore design boundaries from the time of origin of a piece of furniture with today's technical know-how. 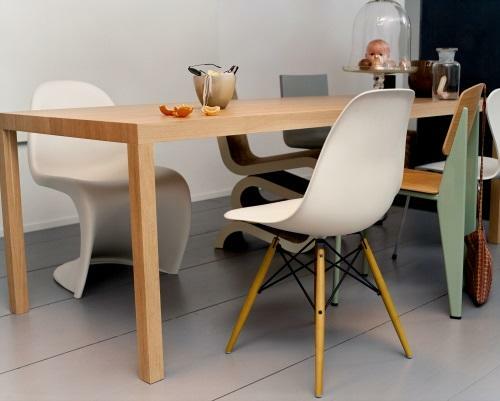 In addition, Vitra, in collaboration with the designers or their descendants, redesigns design classics as necessary to meet today's demands: not only visually, but also functionally, for example, the seat height of the Eames Plastic Chairs, has been adjusted since today people are on average taller than 50 years ago. Of course, this evolution of a design is always based on original drafts. 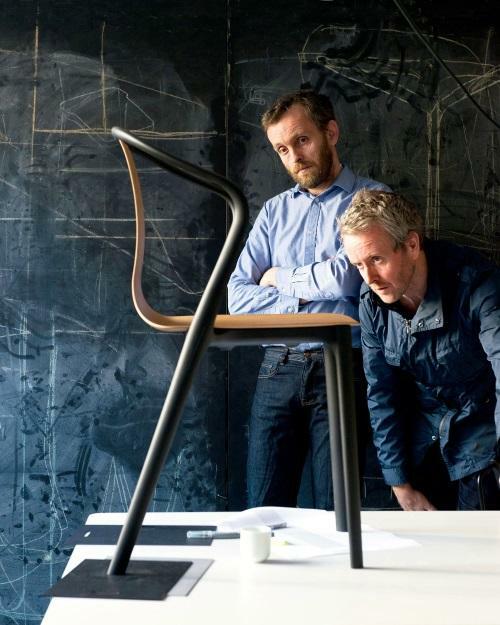 For Vitra, it is always important to work closely with the designers or their heirs. Such cooperations not only ensure the preservation of existing classics, but at the same time provide the basis for future classics. Thereby Vitra offers furniture not just a short-lived trends, but rather exists independent of time, that is therefore always contemporary, and and will continue to inspire in the future. Design, function and quality at Vitra ensure the longevity of a product. All Vitra furniture is developed and tested in Europe, principally at the Vitra base in Weil am Rhein, Germany, and, of course, made in Europe - and only from materials that are regularly controlled for their high quality and longevity. 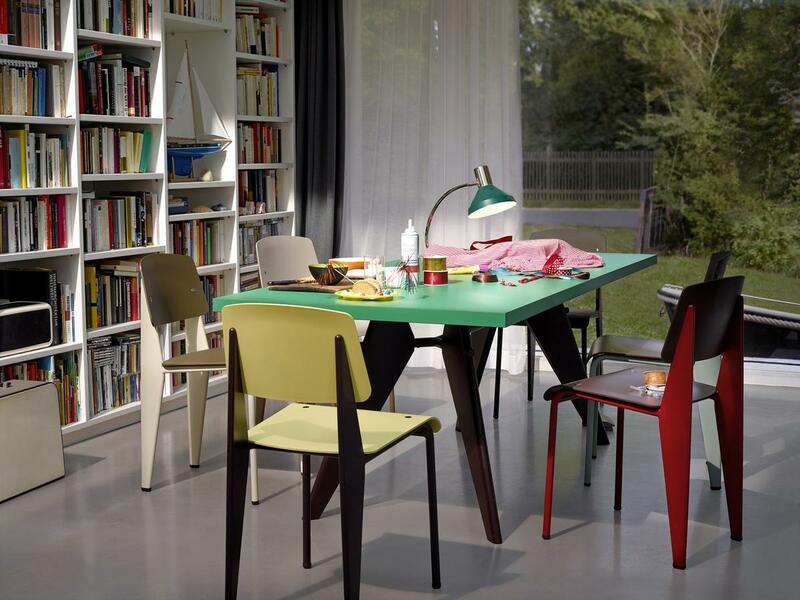 This ideal turns Vitra originals into products for generations, which is also reflected in their guarantee. 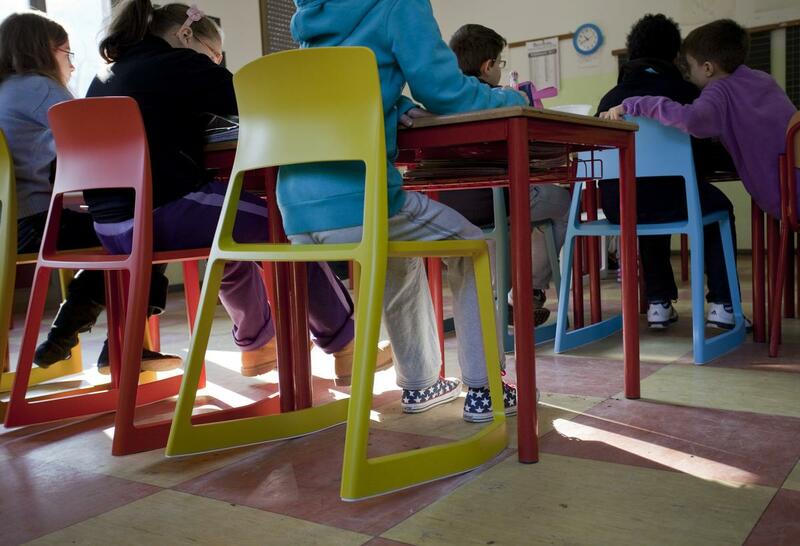 Vitra ignores short-lived trends and thereby develops products that remain current over decades and can, and should, be used over several generations in succession. This applies to long-established classics as well as to completely new designs by contemporary designers, who, thanks to their innovation, high quality and maximum design standards, have the stuff to become the classics of the future much as the great classics of the 20th century before their recognition came. Why is it worth buying an original? 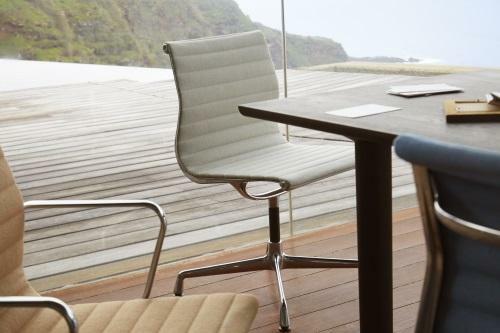 The appreciation of the original not only benefits the designer, but also the buyer: beyond the high functional benefits, original furniture design also has an added emotional value. In addition, the close cooperation with the authors of a piece of furniture guarantees quality and authenticity, guarantees a clear and trustworthy origin and production and thus enables a high degree of value stability of the products: the value of an original designer furniture can occasionally increase even further and prove to be a profitable investment. 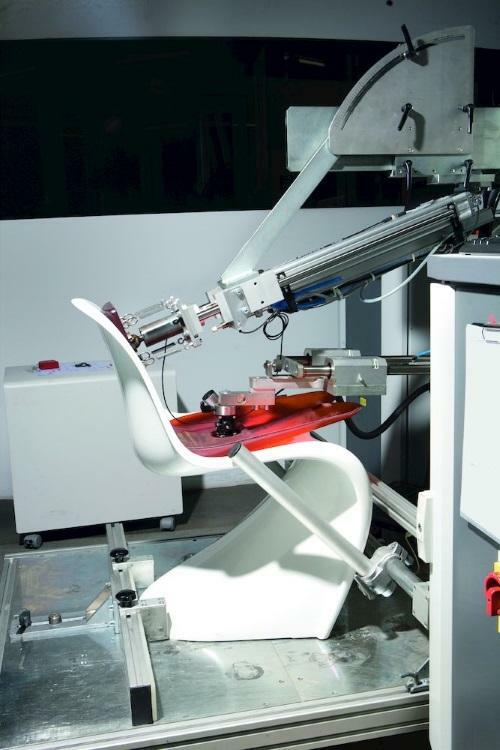 The fact that Vitra furniture undergoes an intensive test phase results in high product safety, a safety which goes hand in hand with long warranty periods and a comprehensive repair service. Buying an original also promotes innovation and is a sign against piracy and plagiarism; after all, only by purchasing an original does one value the performance of a designer and its legitimate manufacturer and this is the only way to respect cultural heritage and intellectual property. Last but not least, the purchase of an original also ensures the sustainable and fair production of a piece of furniture. If you want to check the authenticity of a (supposed) Eames product, a quick glance at the manufacturer is enough. 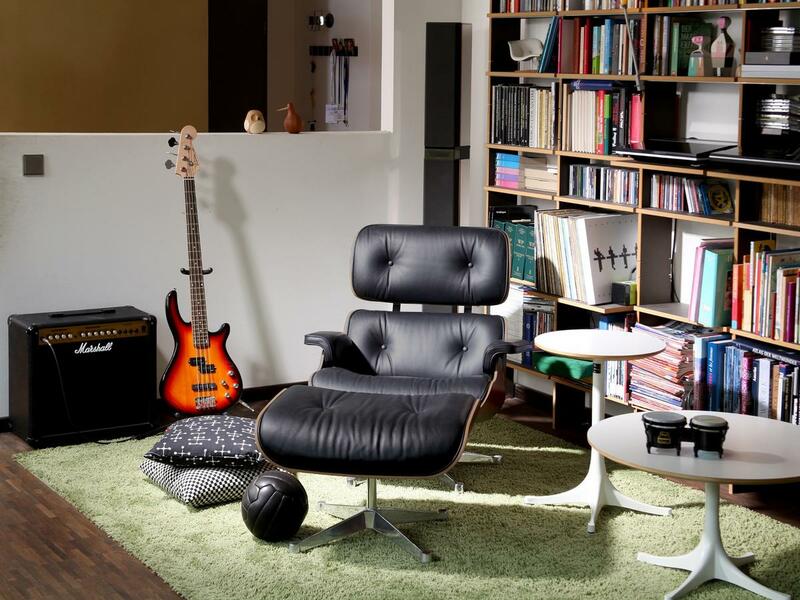 The rights for Eames designs lie with Vitra for Europe and the Middle East, and for the rest of the world with the American manufacturer Herman Miller. Forgeries, also known as plagiarisms, copies, imitations or replicas, are products in which a deliberate attempt was made to optically copy an original in such a way that it resembles it at first glance and creates the impression of an original product. Plagiarism can usually be recognized quickly by their price: plagiarisms are mostly offered at significantly lower prices than originals, if the price is too low to be true it probably is. Low prices also means cheaper materials, imprecise operation, low labour costs, non-existent development and marketing costs, non-participation of designers and their heirs to commercial success, the saving of service and warranty services and the similar disadvantages. And so on the second glance, purchasing a cheap counterfeit is never worthwhile.